Versele Lage Colombine Vita Pigeon Supplement is a highly enjoyed powder supplement which contains a special selection of vitamins, minerals and trace elements. Essential for use throughout the breeding period. 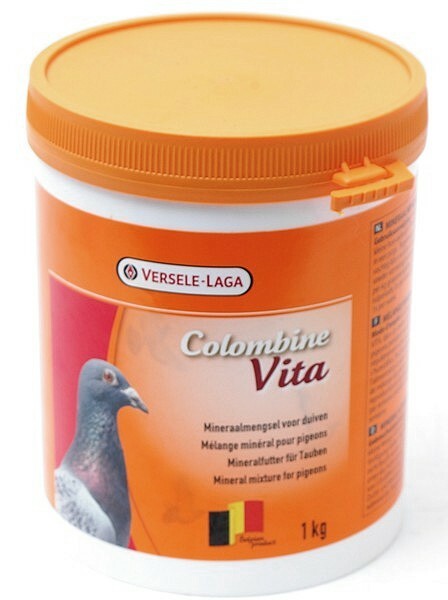 Leave a small amount of Colombine Vita in a pot available for your pigeons throughout the year. Renew it regularly and do not let the product get moist. Can also be mixed dry to the food in the proportion of 2 tablespoons per kilo of mixture. During the reproduction period and the moulting period, give three times a week, during the racing period, once a week. There are currently no questions for Versele Lage Colombine Vita Pigeon Supplement - be the first to ask one!